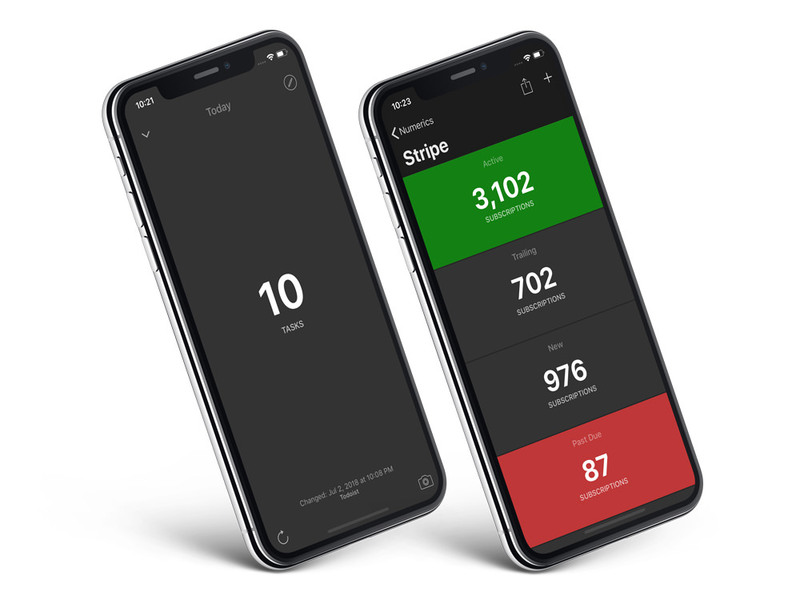 A new version of Numerics for iPhone, iPad, Apple TV and Apple Watch is now available on the App Store. v5.3 adds 2 new KPIs to Todoist and Stripe along with updates to GitHub and YouTube widgets. Here’s a quick run down of what’s new in 5.3. New KPI - Tasks due Today This new number widget will help you track the total number of tasks due Today from across all your projects in Todoist. New KPI - Subscriptions by Status This new KPI allows you to see the number of subscriptions by their status i.e. active, trialing, unpaid, canceled, or past due. You can also track the total number of “All” subscriptions by choosing the “all” status. Based on your scenario, you can choose to have multiple of these widgets on your dashboard indicating subscriptions in different stages of your product lifecycle. With this version, we are enabling invoice based billing and volume licensing for Numerics via our partners for medium to large enterprises. To know more about Numerics Enterprise or our partner program, please get in touch. v5.3 updates the GitHub integration to list repositories ordered by the most recently modified project. This is great for users who have many repositories but would like to track the ones that have been recently changed. To see your recent projects simply refresh the list of repositories in the GitHub widgets. The YouTube API has been updated to fix the Channel Subscribers - all time widget. All Todoist widgets have also been updated to show 0 when there are no tasks or projects. Earlier, the widgets would go into an error mode in such scenarios. We’ve also added new icons for some of the integrated services reflecting their new branding, these include -Instagram, ChartMogul, Chargify and HockeyApp. We’ve fixed a bug that caused a crash when saving a dashboard snapshot to Photos. Numerics v5.3 is now available on the App Store. We are constantly working on new updates and we love hearing from our users. Please feel free to reach out with any questions or suggestions you have for our app. Head over to the App Store to get your update now!